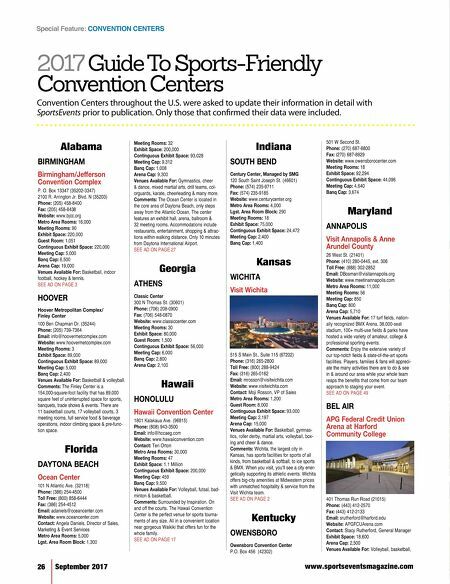 www.sportseventsmagazine.com September 2017 27 The Ocean Center is located in the heart of one of America's favorite family destinations. It's the perfect venue for competitive sporting events of all kinds. Volleyball, basketball, dance cheer, fencing and more. And when the final whistle blows, the ocean awaits. Book the Ocean Center and the best staff in the business and let the games begin! 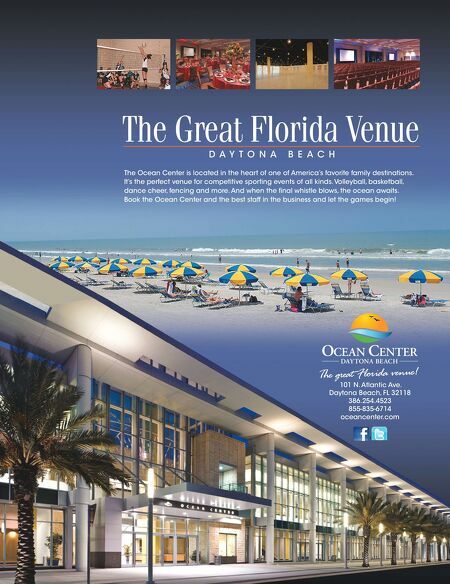 The Great Florida Venue D A Y T O N A B E A C H 101 N. Atlantic Ave. Daytona Beach, FL 32118 3 8 6.254.4523 855-835-6714 oceancente r. com The great Florida ve nue !